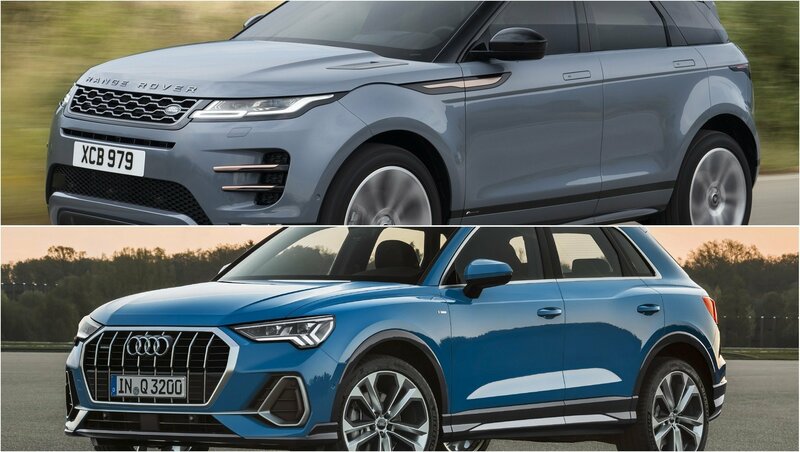 We’re barely a week into seeing the all-new Audi Q3 in all its glory, and yet here we are, confused and intrigued about what looks to be a sportier derivative of the crossover that has found its way in patent form at the European Union Intellectual Property Office. The patent filing was made by Audi last month, but the design of the crossover doesn’t look like the all-new Q3. 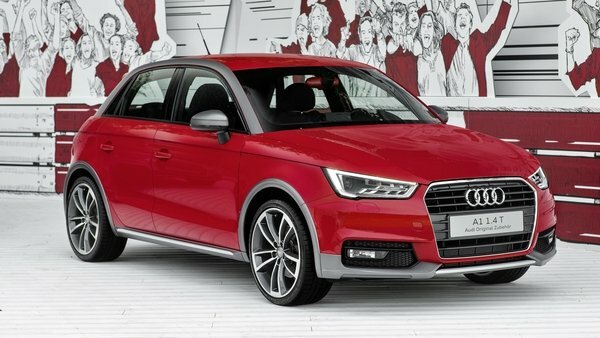 Could this be a sportier version of the Q3? 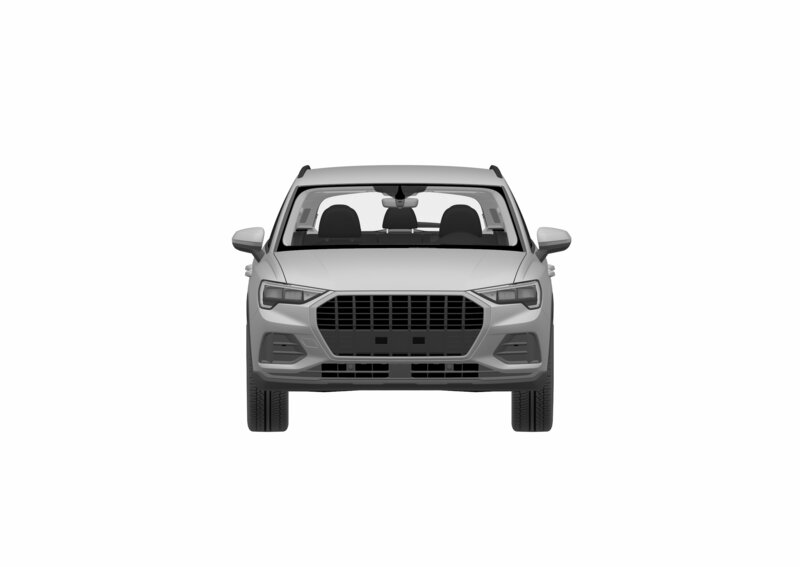 Is that you, Audi SQ3? Audi first produced the Q3 compact crossover in 2011, but didn’t bring it stateside until after a refresh for the2015 model year. Since its star-spangled arrival, the luxury-oriented high-stance five-door has posted strong sales numbers, performing well in a segment fraught with competition. 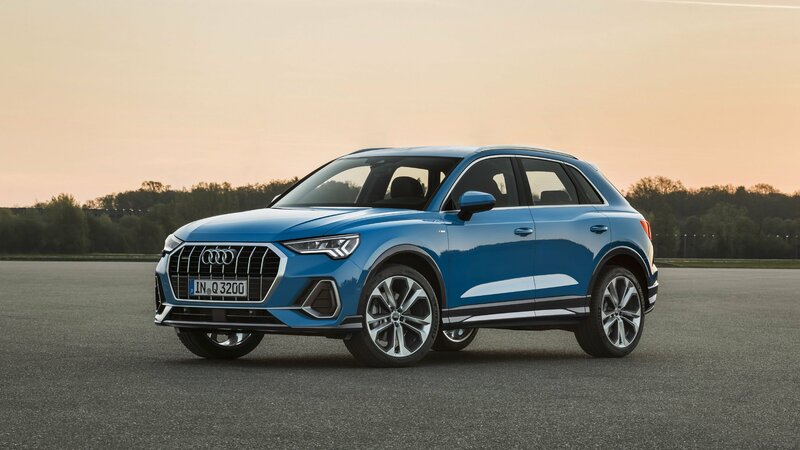 These days, demand for small SUVs continues to grow unabated, which means Audi is giving the Q3 a second-gen update for the 2019 model year. Providing the Q3’s latest styling cues and equipment perks is Audi’s lineup of range-toppers, including the Q8 and the A8, while larger exterior dimensions and a turbocharged engine lineup round it out. 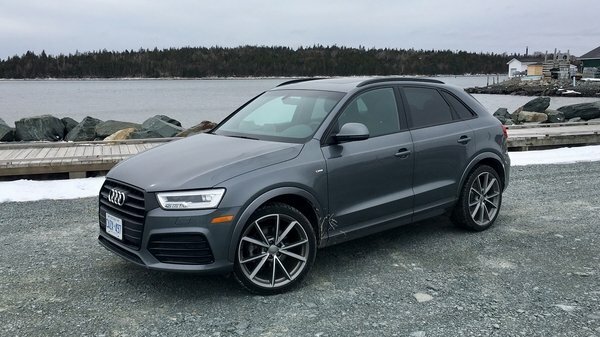 Continue reading to learn more about the 2019 Audi Q3. The crossover segment is as hot as ever, and Audi is once again looking to take advantage of the seemingly never-ending demand. As such, it just unveiled its latest Q3 compact, showing it off in a brief 1-minute video set against some scenic coastal roads. Audi is calling it all-new, but you wouldn’t know it from a glance. Take a closer look, though, and you’ll start to pick out a few things, with new styling bits added front to back. 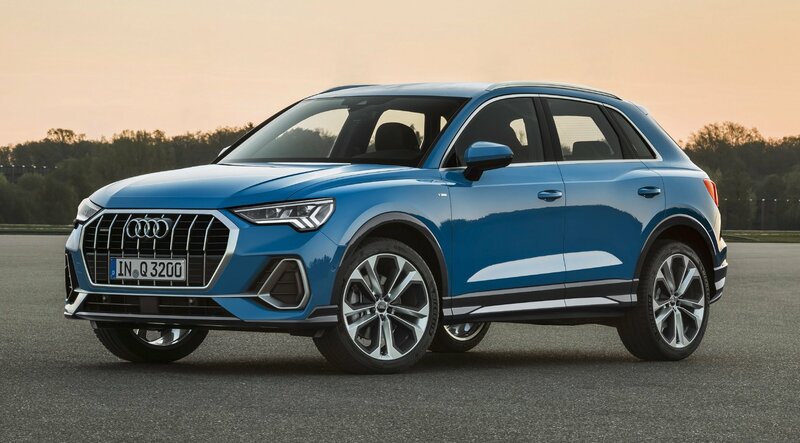 The Q3 once again takes after the Q8 in terms of styling cues, incorporating geometric lines, deep cuts, and sharp styling, not to mention the requisite massive grille in the nose. 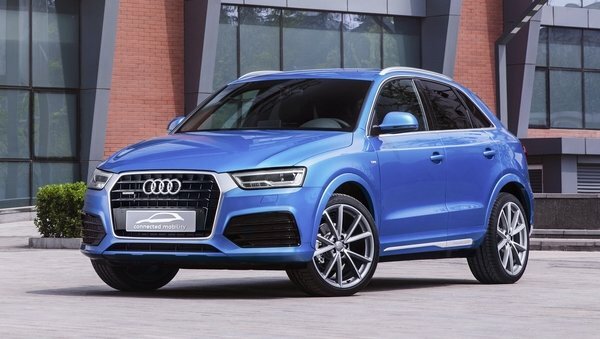 The Q3 is also bigger this time around, although not too much – after all, Audi doesn’t wanna encroach on the Q5’s territory, which is currently selling like hot cakes. Still, the Q3 is definitely larger, gaining a little under 4 inches in overall length, as well as an inch to the overall width. The wheelbase is also 3 inches longer, which should make the interior even more comfy. Speaking of which, the cabin layout once again mirrors that of the Q8, with a horizontal appearance and tons of geometric styling features. Audi added its desirable Virtual Cockpit digital instrument cluster as standard equipment for 2019, and there’s also an optional 10-inch infotainment screen and the very latest MMI system support. CarPlay and Android Auto will be standard, as will the latest autonomous driving tech, such as adaptive cruise control, lane departure warning, automatic forward braking, and rear cross-traffic alert. 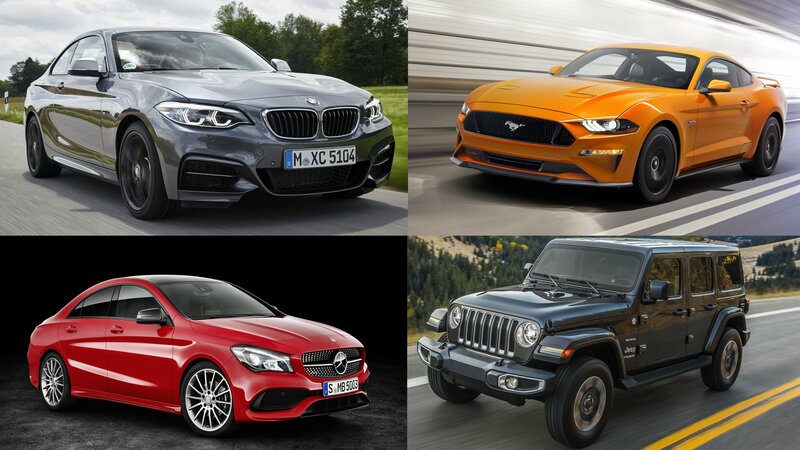 No word on the U.S. powertrain lineup, although we do know that across the pond, buyers will get a pair of gas engines and a diesel. That said, it’s highly likely we’ll once again get a turbocharged 2.0-liter TFSI gas-burner in two states of tune, including190 horsepower and 230 horsepower. Both will mate with a seven-speed dual-clutch automatic gearbox, while quattro AWD should come as standard. Also expect multiple drive modes and optional adaptive damping suspension components. Stay tuned, as Audi will undoubtedly release more information very soon. The Audi Q3 has been teased and spied long enough. The time has come for the second-generation crossover to show its face, and it looks like Audi is about to give the people what it wants. 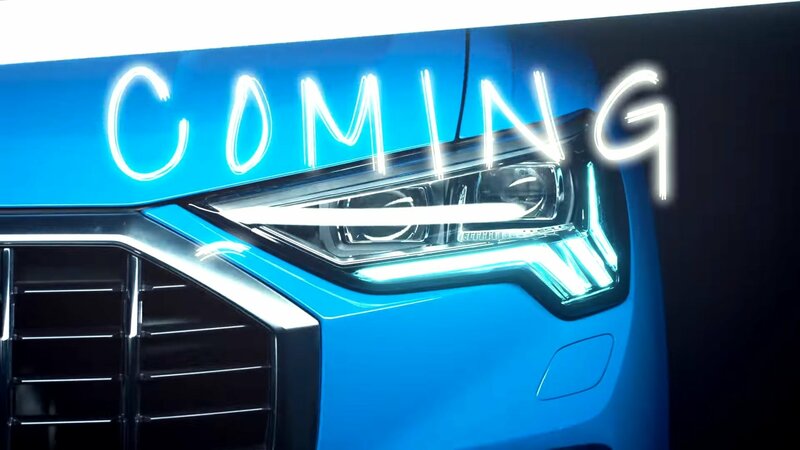 The new Q3 is scheduled to be unveiled tomorrow, July 25, and to commemorate the occasion, Audi is dropping a new teaser to get us all hyped up about its new crossover. 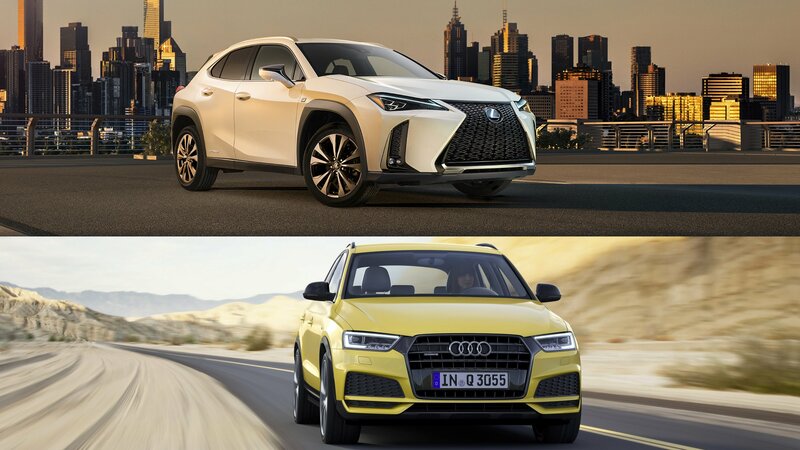 Japanese luxury brand Lexus dropped its brand-new UX compact crossover at the 2018 Geneva Motor Show earlier this year, challenging established offerings like the Audi Q3 for dominance – but which is better? To find out, we took a hard look at both and lined them up side by side to compare the numbers. Read on for the results. Audi first kicked off production of the Q3 luxury subcompact crossover in 2011 for the 2012 model year, following it up with a series of refreshes in 2014 and 2015. 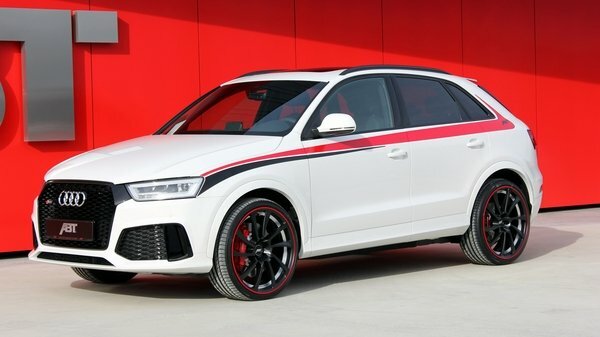 Also offered as a pair of tuned versions from Audi Sport GmbH under the SQ3 and RS Q3 nomenclature, it looks as though the Four Rings is gearing up to release a second generation for the go-faster Q3’s, as evidenced by this series of spy shots showing a black-and-white test mule out and about for some apex huntin’ at the Nurburgring. 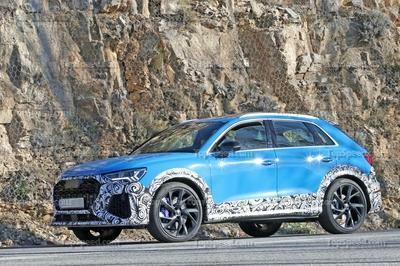 Update 03/29/2019: The 2020 Audi RS Q3 was caught testing in the mountains, this time in near-production guides with less camo than ever. Check out the latest spy shots as well as some updated information in our “Spy Shots” section below. Audi has produced the Q3 compact crossover since 2011, but didn’t offer it to stateside customers until after applying a refresh for the2015 model year. Since its star-spangled arrival, the luxury-oriented high-stance five-door has posted strong sales numbers, performing well in a segment fraught with competition. 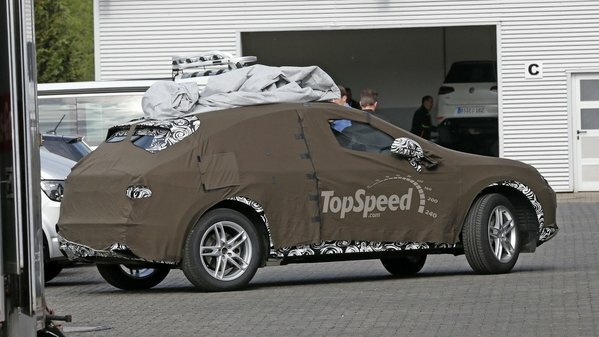 Nowadays, as demand for small SUVs shows no signs of abating, Audi is gearing up to release the second-generation Q3, and while we have yet to receive official specs from the manufacturer, our spy photographers just caught a camo-clad test mule prepping for some real-world tests. Updates are expected for every area of the vehicle, including new powerplant options, more tech for the cabin, and even exterior styling inspired by one of the greatest Audi models ever created. We’ll most likely see the second-gen Q3 debut some time late next year, while early 2018 is also a possibility. Either way, testing appears to be in full swing at this point, so further reveals are expected in the near future. For now, however, read on for my speculative review. Updated 05/10/2016: Our spy photographers caught the upcoming Audi Q3 out for a first testing session. 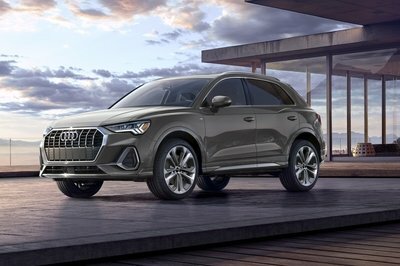 Continue reading to learn more about 2019 Audi Q3. SUVs have been a big hit at the 2016 Beijing Motor Show as automakers from all over the world have been doing their part in trying to impress what is arguably the biggest SUV market in business. Audi was one of the companies that presented an SUV at the event, but instead of trying to showcase a new concept that previews a future model, it went an entirely different route by showcasing a new concept that previews new possibilities in an existing model. The concept is called the Q3 Connected Mobility and while it doesn’t look like a traditional concept vehicle, it does come with an electrically-powered multifunctional longboard that’s stored neatly under the boot of the crossover. According to Audi, the Q3 Connected Mobility concept “offers sporty and multifunctional mobility for metropolises with millions of residents.” Considering its rather quirky but otherwise effective feature, I’d say that the German automaker nailed its description for the entire concept. See, the objective of this particular concept isn’t so much about showcasing the capabilities of the Q3.It’s actually all about that longboard, which functions as an alternative mode of transportation in the event driving the Q3 around busy urban cities becomes a hassle. Certain situations do lend to longboards becoming more efficient forms of transportation and that’s exactly what the Q3 Connected Mobility concept is trying to highlight. The way that Audi managed to integrate it into the Q3 is impressive enough in and of itself. But there’s more to this concept than just having its own longboard. The Q3 Connected Mobility also takes its name to heart, incorporating all these new technologies into one car with the intention of possibility seeing it come to life in the future. That future may or may not include a longboard, but for what it’s worth, the way Audi packaged the concept kind of makes me think that such a feature actually looks great on paper. Continue after the jump to read more about the Audi Q3 Connected Mobility Concept. When it comes to the Audi Q3, two big things happened for the 2015 model year. The first was a refresh that gave the car a sportier look with mild changes to the front end. In addition to the mild facelift, Audi also brought the Q3 to U.S. shores for the first time. Of course, we didn’t get the plethora of engines available in other markets, but hey, at least we got the Q3. Now that we’re slowly crossing days off the 2016 calendar, Audi has dropped the news that a performance variant of the RS Q3 – called the Audi RS Q3 Performance – is in the works and will make its debut at the Geneva Auto Show in March of 2016. Naturally, the performance-minded RS Q3 will take on some significant changes to differentiate it from the standard RS Q3. There will be minor changes to the exterior, as well as some significant changes to the interior. In addition to that, a performance-optimized engine and chassis come together to make this little crossover something that dreams are made of. So far, the RS Q3 Performance has only been given a European emissions classification (Euro 6,) so it doesn’t look like it is coming to the States anytime soon. Hopefully, that will change in the future but, until it does, let’s take a look at what our neighbors on the other side of the drink can expect from the Audi RS Q3 Performance. 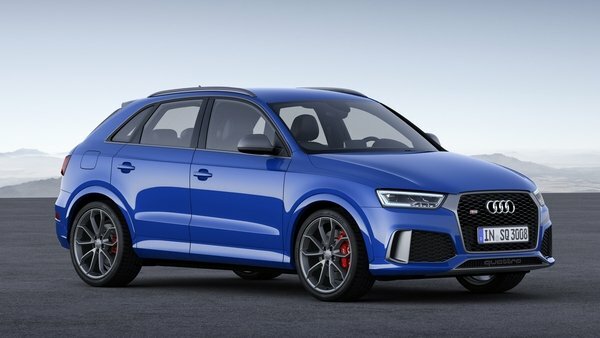 Continue reading to learn more about the Audi RS Q3 Performance.